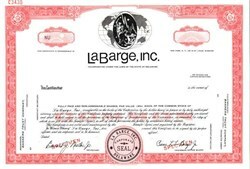 Beautifully engraved SPECIMEN certificate from LaBarge, Inc. This historic document was printed by the Security-Colombian Banknote Company and has an ornate border around it with a vignette of the company logo. This item has the printed signatures of the Company's Chairman of the Board and Secretary. LaBarge, Inc. is a broad-based provider of electronics to technology-driven companies in diverse markets. The Company provides its customers with sophisticated electronic products through contract design and manufacturing services. 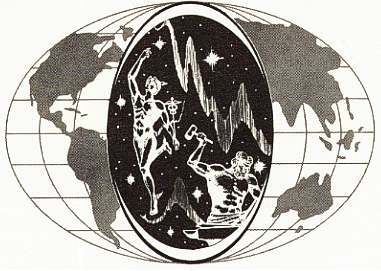 Headquartered in St. Louis, LaBarge has operations in Arkansas, Missouri, Oklahoma, Pennsylvania and Texas.